No Technical Issues! How Wonderful! Today, I had the perfect class. I had no technical issues. It was wonderful! We are still working on TechnoWonderland. In today’s class we were completing the Session 1 Extension Activity, Amusement Park Map. The technology skills targeted in this lesson were copy, paste, group, and ungroup. 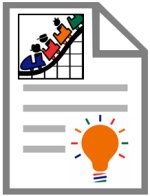 The task had students use clip art as symbols to produce a theme park map that includes attractions, food court, entertainment, and services. In the last class, the network was sluggish and students struggled to insert clip art. Intermittently their machines would hang, which became a source of frustration. UPDATE 03/27/2018: TechnoKids has updated TechnoWonderland for the LATEST version of Microsoft Office. When I walked into the computer lab that morning I was greeted with a pleasant sight. The “do not use” tag was removed from the out-of-commission computer in the back corner. ALL the computers were working in the lab. I breathed a sigh of relief. I didn’t have to hope that a student would be away sick so that I would have enough machines. (At one point this year I had three machines down). The day just got better and better! All the students were able to login and none of the machines hung. The entire class was able to access the Internet with no freeze ups. Everyone was able to save their files AND no one lost work. I NEVER heard, “Mrs. Love this isn’t working”. Not for 40 minutes! Instead, the only hands up in the air were for students that had questions directly related to the task. The students were actively engaged for the entire class period. The noise level remained at a constant hum. There were no spikes in the volume, usually associated with a technical issue. After class I chatted with my co-worker about how pleased I was that the class had been so productive and error-free. We both agreed that this is so rare for a technology education teacher. Typically, at one point during the class you are going to encounter the unexpected. Although some circumstances can be easily resolved, others can be quite puzzling. I wasn’t the only person happy. One student commented on how smooth the computer lab was running. Shortly thereafter another student said, “Oh no, why did you say anything? You’ll jinx it!” I laughed! It turns out we all know how rare this moment can be. I wish I could bottle this moment. It feels fantastic! Design computer-related tasks that spark creativity! Recently, I began to teach TechnoWonderland to a class of grade 7/8 students. They love the idea of creating their own amusement park. We have just completed planning our park and now students are designing a poster using Microsoft Word. As you may have guessed, from a technology skill standpoint we are focusing on word processing skills. However, there is so much more happening than formatting text and objects. Even though everyone in the class is doing the same task and completing the identical steps, each poster is unique. To give you a sense of the range of ideas, one student called his park Safari Fest and it has all animal themed attractions. While another student called his park Horror Land and it has all scary rides. The students have come up with clever ideas for the names of their restaurants, shops, and attractions. I am amazed by their CREATIVITY! Undo/Redo:Students can easily undo or redo any action. This frees them up to be creative because they don’t have to worry about mistakes ruining their work. Save a Copy: Students can save a copy of their work, which keeps the original file intact. This allows them to take risks because they have a “safety net”. If things don’t work out, they can always return to the original file. Alter Design and Layout: The computer allows students to easily format, size, and arrange information and objects. This allows them to play around with the content, layout, and design to create the perfect look for their work. Improve student learning. Design computer-related tasks that promote creativity.